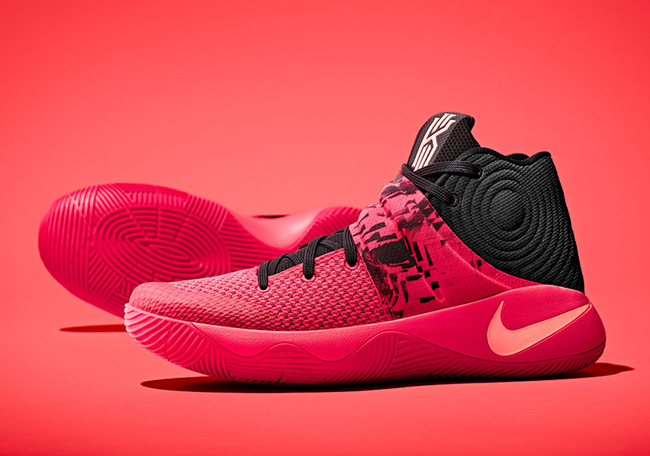 Nike Basketball has just unveiled the first two models of the Kyrie 2. 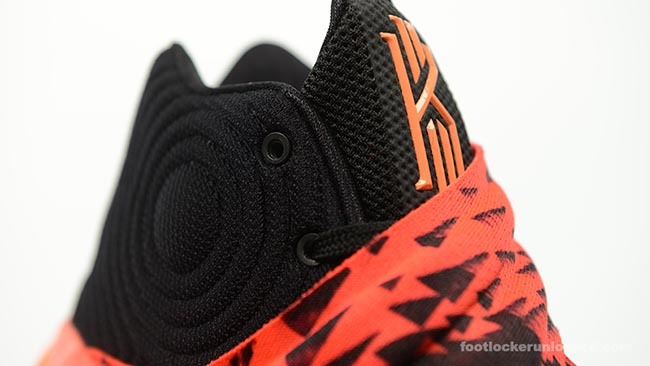 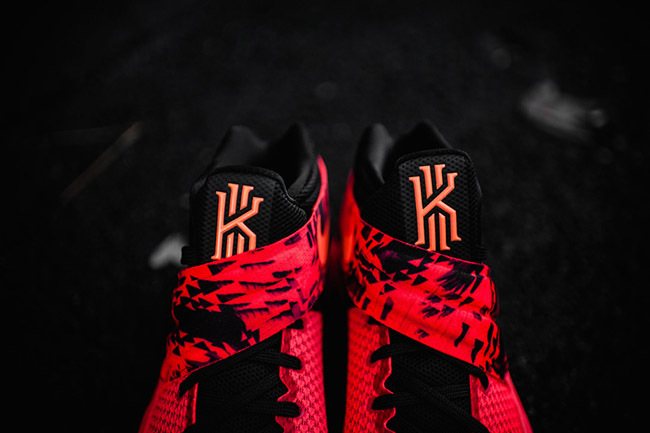 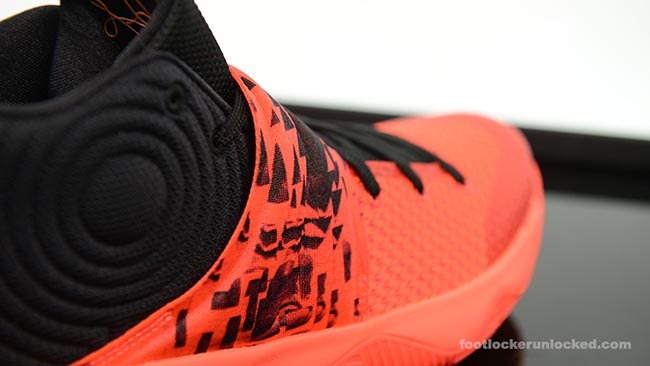 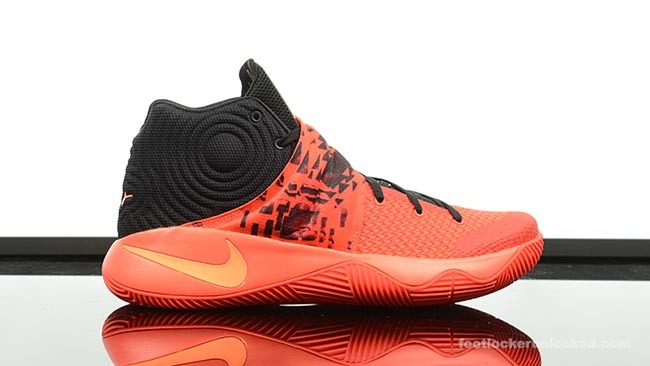 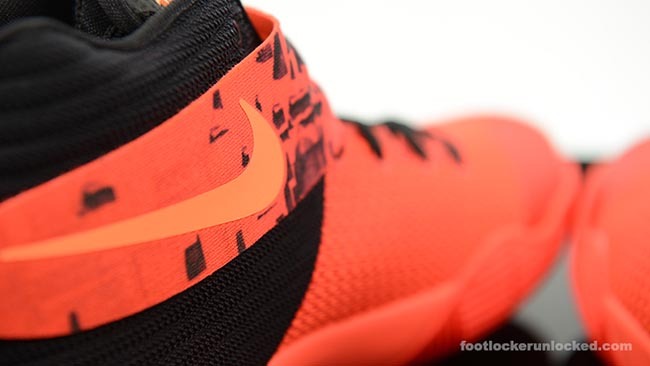 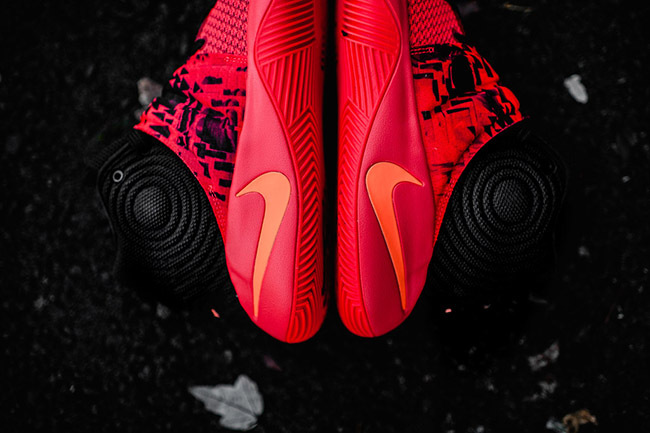 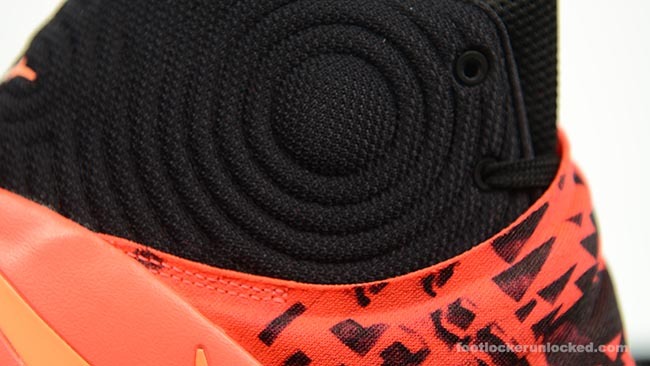 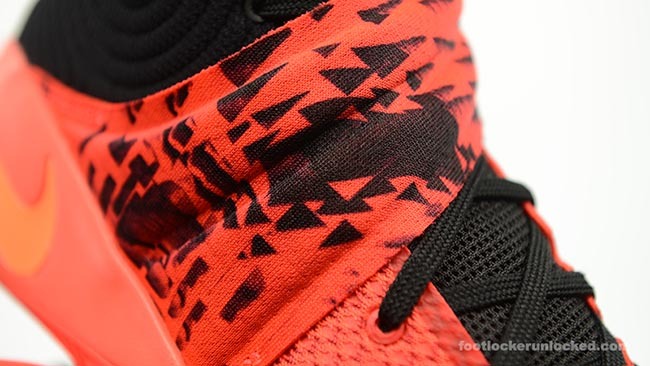 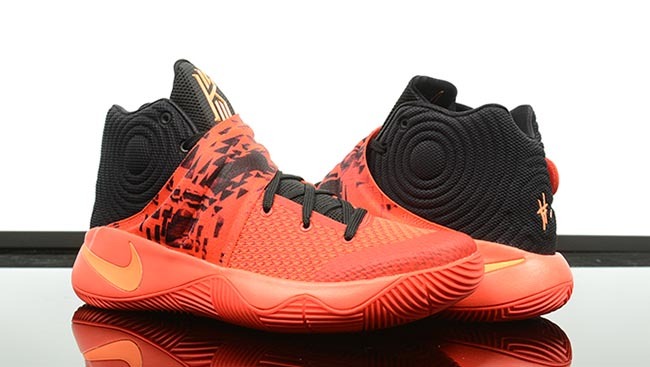 The first pair to launch in 2016 is the Nike Kyrie 2 ‘Inferno’. 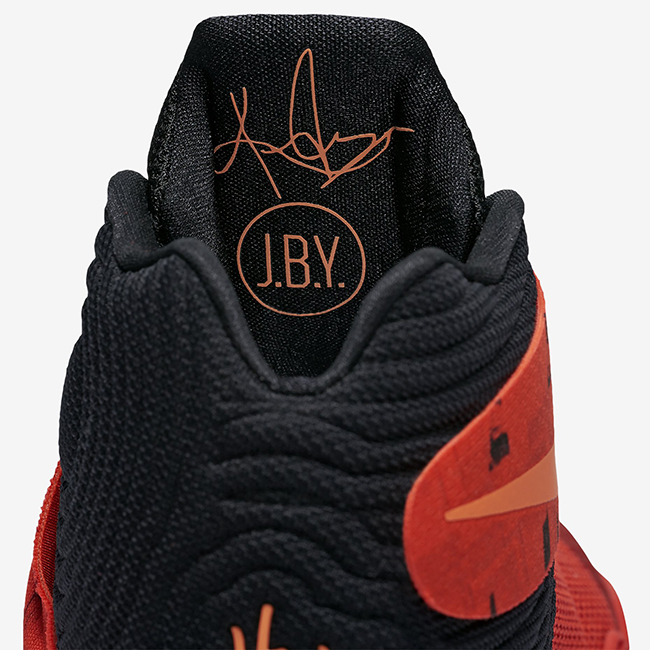 Each Kyrie 2 will tell a story just like the first edition, and as for the Inferno, they are inspired by Irving’s dribbling skills. 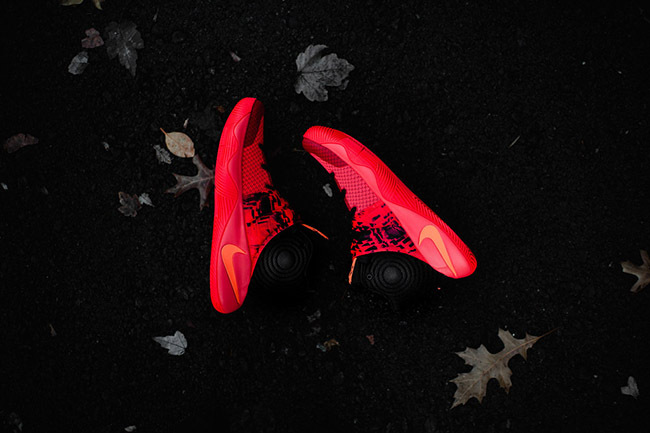 His average dribbling speed is 21 miles per hour which is twice the amount for the average NBA player. 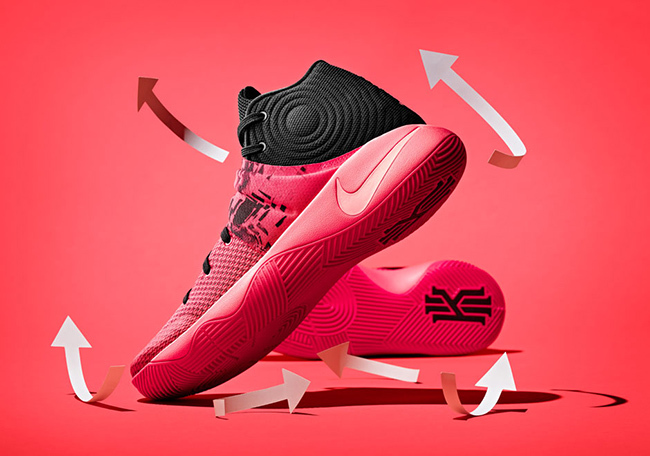 As well, Kyrie can create four g’s of acceleration with his crossover and decelerate from 13 miles per hour to zero in about .2 seconds. 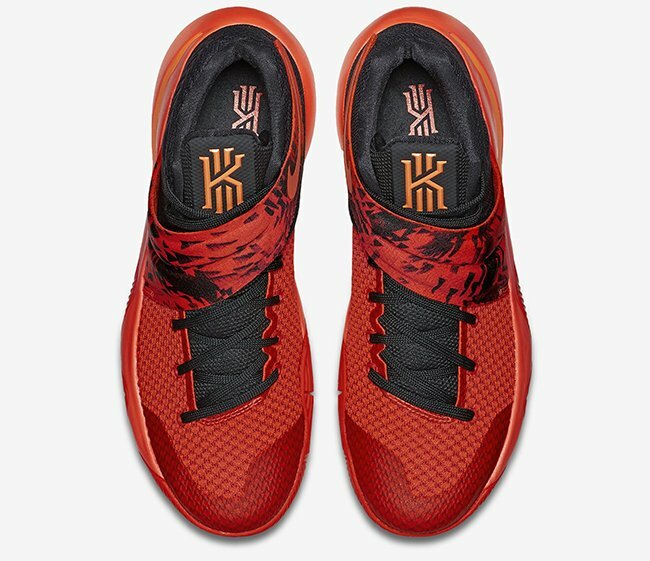 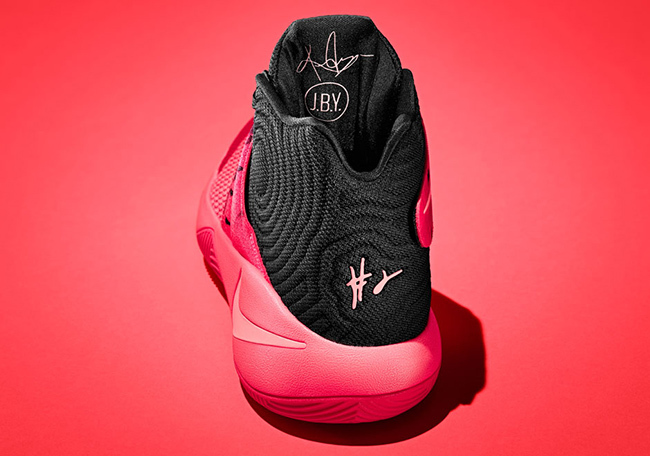 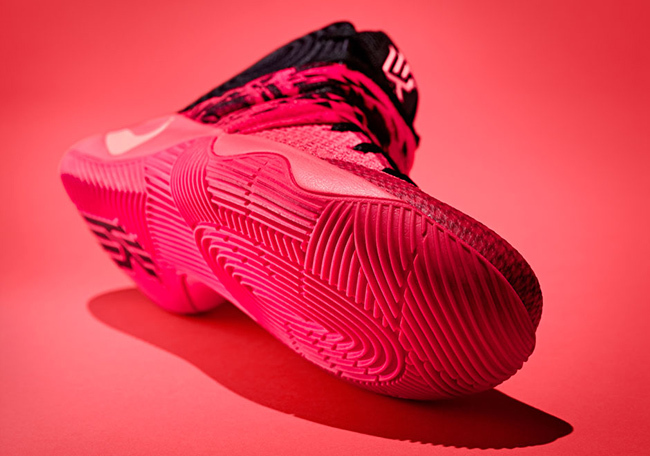 Designed by Leo Chang, who also designed the Kyrie 1, Irving’s second edition comes with Zoom Air for added traction and a cross strap for a lockdown feel. 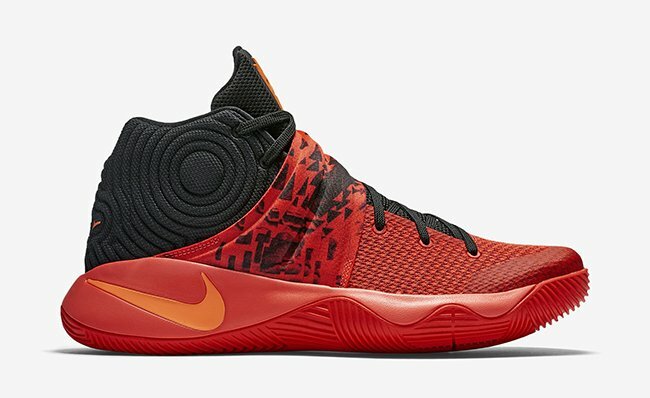 For those that want to create their own Kyrie 2, Nike has just released the iD version today. 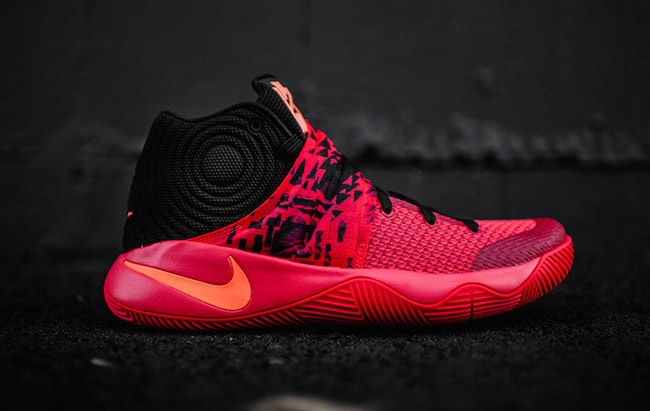 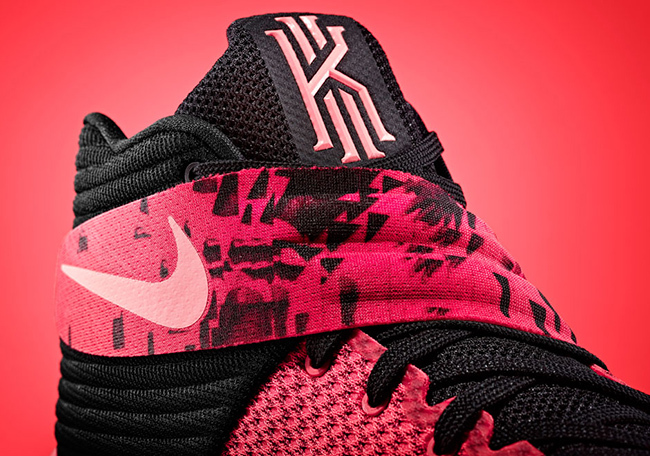 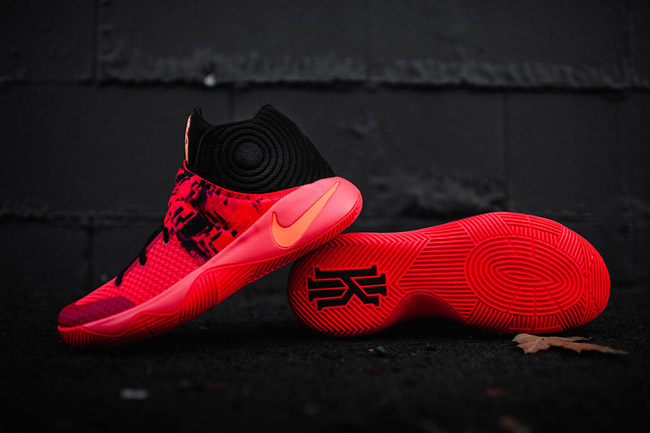 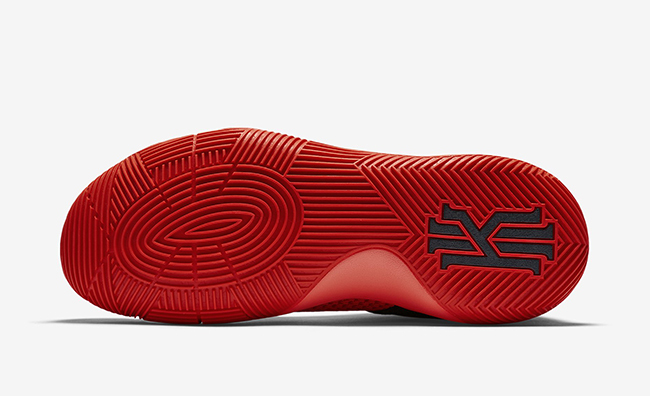 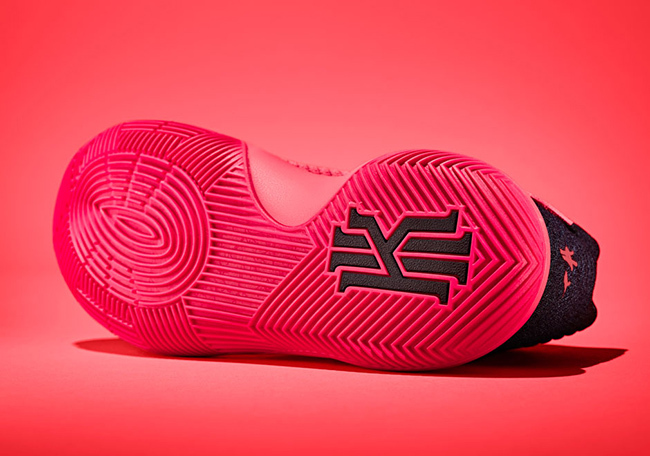 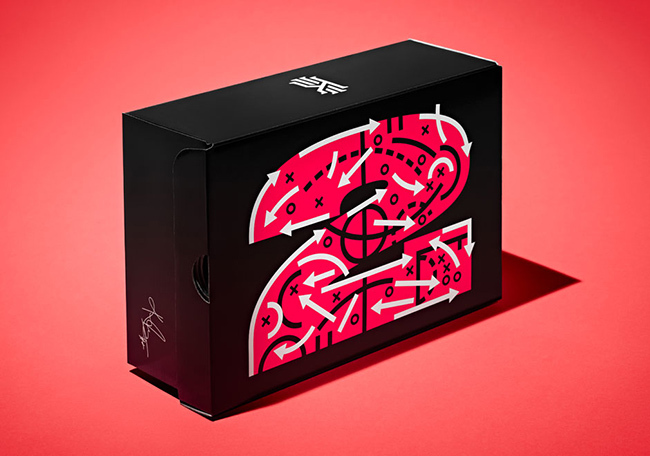 The first official release will take place on December 15th which is the Kyrie 2 ‘Effect’. 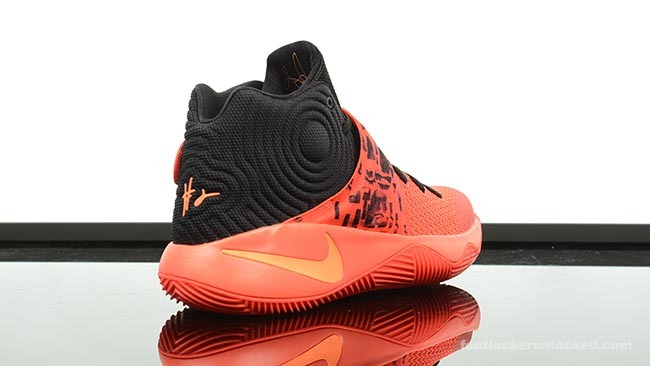 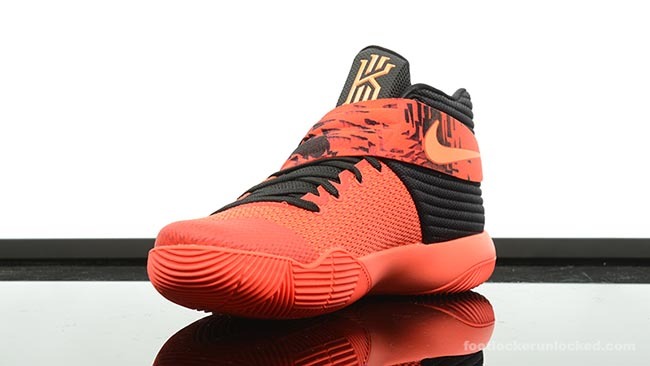 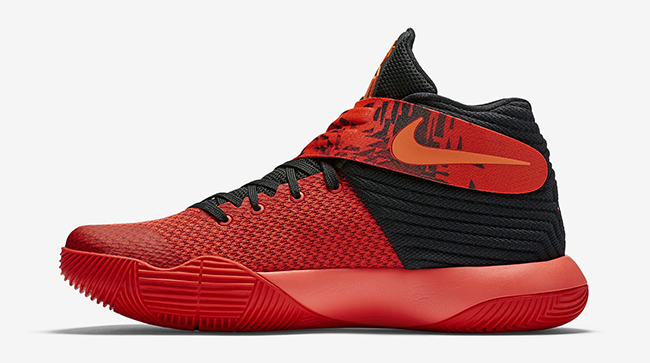 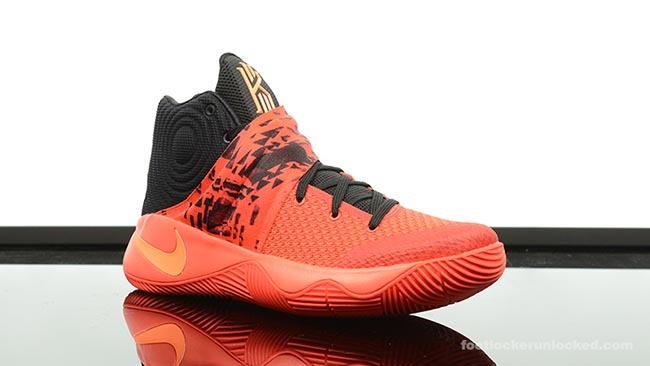 As for the ‘Inferno’ Nike Kyrie 2, they release on January 1st, 2016 and will retail for $125. 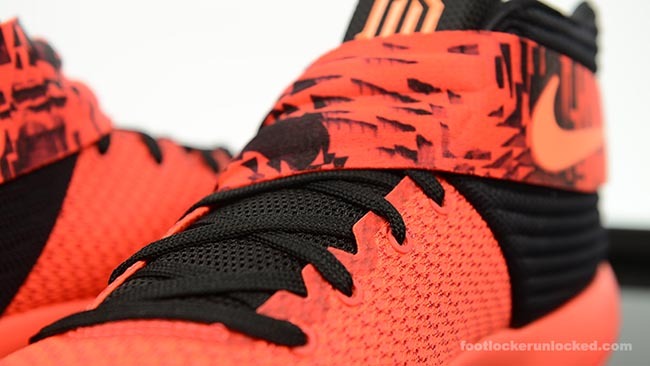 You can see additional photos of this model below and we will continue to update you with more. 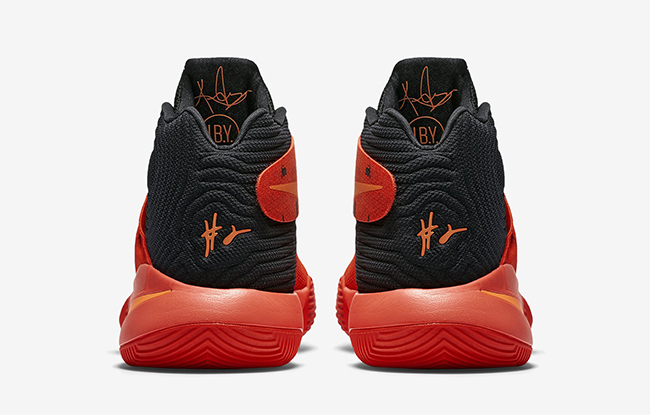 Update: The wait is just about over, as the ‘Inferno’ Nike Kyrie 2 will land at retailers tomorrow, January 1st, 2016 and will retail for $125. 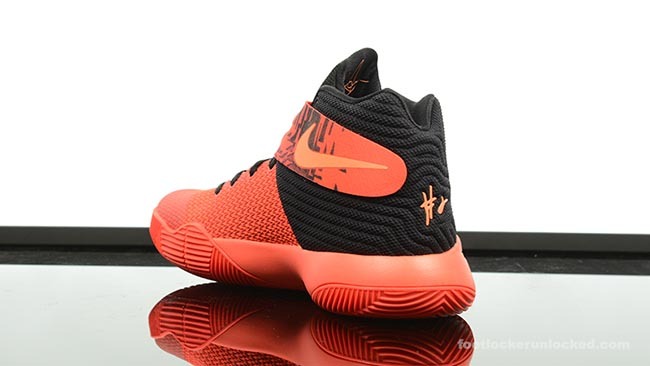 One of the many fine establishments you can buy them from is FootLocker.com. 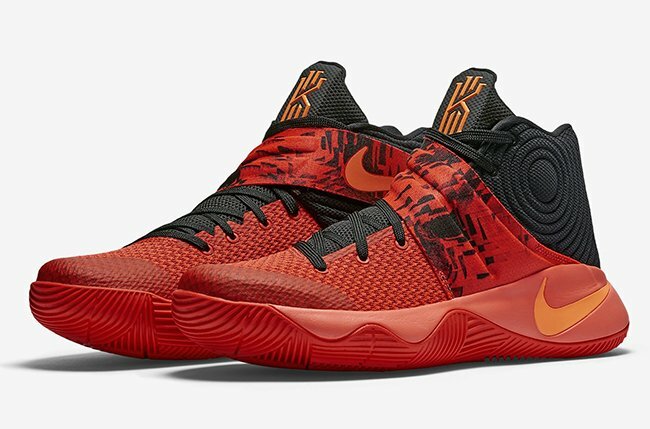 Update: Retailers are now starting to receive the Nike Kyrie 2 ‘Inferno’ which means a release is nearing. 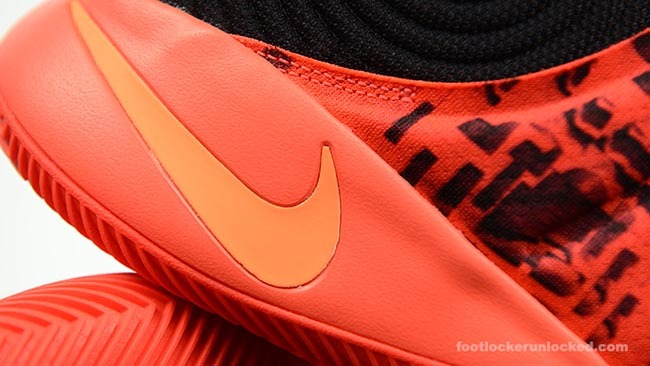 Since they officially debut on January 1st, official photos have just become available. 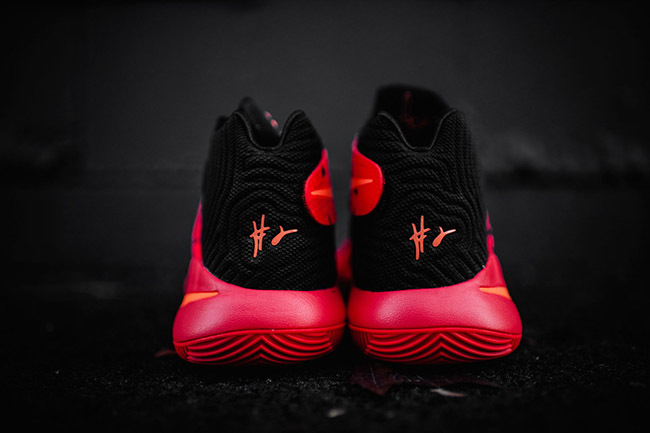 Update: We are not far away from the ‘Inferno’ Nike Kyrie 2 release which is the third release of his second signature shoe. 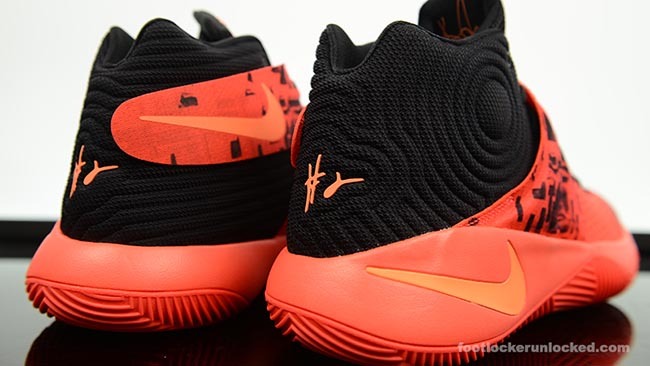 Retailers are receiving their shipments which gives us an additional look at what’s to come. 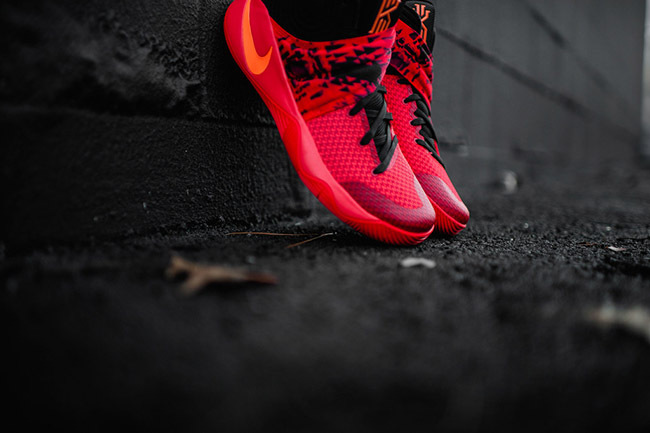 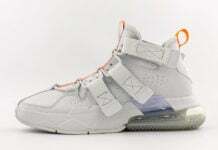 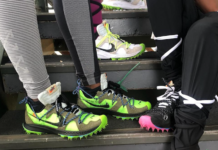 One location you will be able to purchase them at on January 1st is Rock City Kicks.